Any marketer knows, in order to gain traction with today's audiences, you need to be able to develop a comprehensive digital marketing strategy. 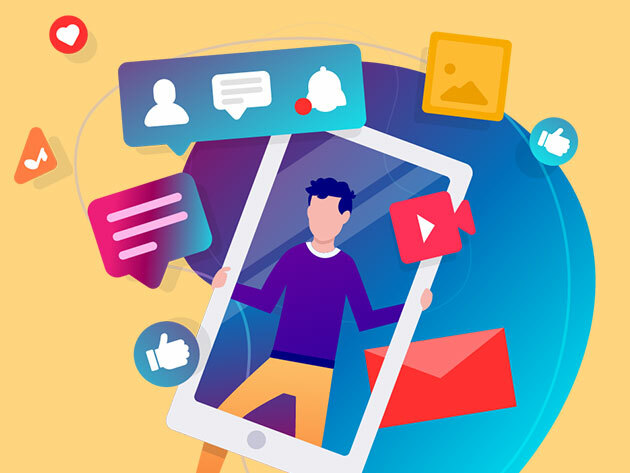 From Twitter to Instagram, YouTube to Facebook, this Social Media Marketing Master Class Bundle covers the major social media platforms and helps you craft the right messages for each so you can reach a wider audience and increase sales. This holistic bundle includes 11 different courses that take you from basic marketing strategies, like planning marketing campaigns with structure, to more advanced techniques like developing a solid plan of action for promoting your business, before starting a company. The bundle then dives into different social media platforms and how to use each one to your company's best advantage. Discover techniques to promote your personal brand and widen your audience over Facebook, grow a YouTube channel, apply Twitter re-tweeting best practices, use LinkedIn to bring in qualified leads for your business and more. There are even sections that show you how you can use Reddit to promote blog posts and send traffic to your website and even get more foot traffic through your business using Yelp. The best part is, you get lifetime access to this course — so even if you decide not to employ all these strategies and platforms at once, you can always refer to how to best use them later. Usually, the Social Media Marketing Master Class Bundle is $969, but you can get it here for $29.